Yesterday the author of one of our favorite children’s books, “Broc and Cara’s Picnic Party” came for a visit to the Dr. Yum project kitchen. Dave Wilson is a father from Canada, who wanted to find a way to inspire his son Sam to adopt healthy eating habits. He came up with a delightful book featuring two adorable characters, Broc and Cara. These two characters are fun, cute, and inspirational. Last year Dave sent me some copies of his book, and we have enjoyed sharing them with our friends. We started reading it to our cooking campers who enjoyed the story on days we made broccoli and carrot recipes. Dave made a journey from British Columbia to the the U.S. East Coast and decided he wanted to pay us a visit to the Doctor Yum Project Kitchen. Dave was gracious enough to bring more Broc and Cara books for us and even read his book out loud to our Cooking Campers. What a treat! I was excited to hear about Dave’s new ideas to expand the world of Broc and Cara and show kids even more fun and exciting information on how to grow a healthy body with good food. 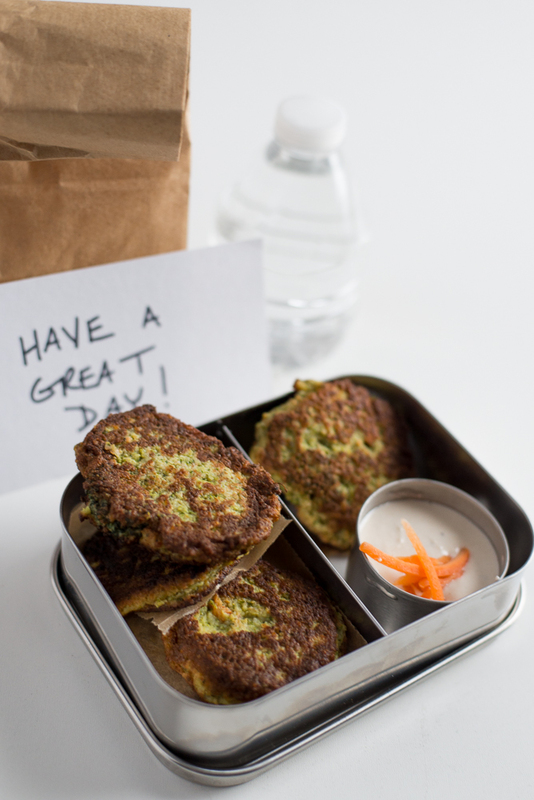 For Dave and Sam’s visit we debuted a new broccoli and carrot recipe (inspired by a recipe from Super Healthy Kids). Broc and Cara Treats are a delicious way to incorporate these favorite veggies into a fun, nugget or patty shape that can even be dipped!!! The kids really enjoyed the fun shape and savory flavor. I love that we call them “treats” which reinforces our message that healthy food can be fun (and delicious) too! Save these and warm up for a super quick energy-packed breakfast or pack as a great veggie side for lunch! 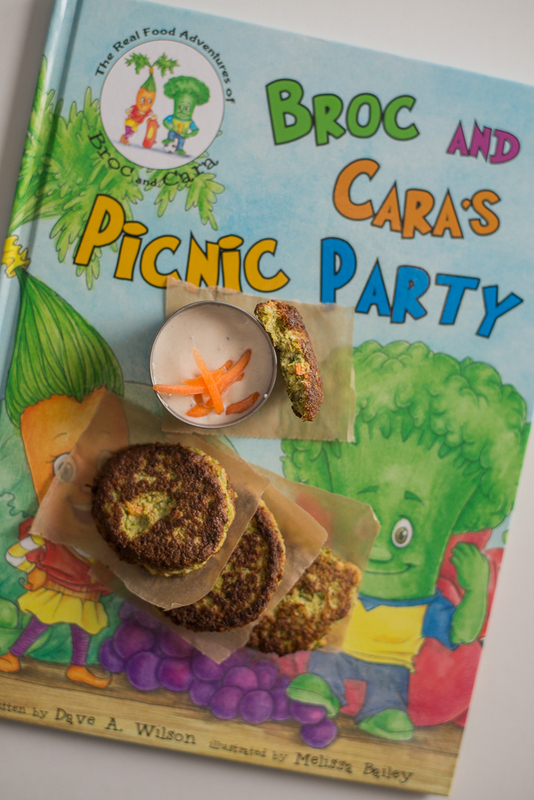 Make sure to check out “Broc and Cara’s Picnic Party,” one of our FAVORITE kids books! Steam broccoli in a steamer basket or an inch or so of water until fork tender. Pulse broccoli, grated carrots (minus 1/4 cup), onion, egg, salt, cumin, panko, and parmesan cheese in a food processor. Pulse just till chopped finely. Mix in the remaining 1/4 cup of carrots. Using 1 tablespoon of the mix at a time, form 2 x 1 inch nuggets. Heat oil in a skillet. Flatten each nugget and sautée on one side until crispy and then flip. Serve warm. For new fingerfood eaters, this is a great recipe, as the shredded veggies soften even more as they cook. Cut into smaller pieces so they are easy to pick up and chew. Always supervise to make sure your baby is taking small and comfortable bites for their stage of eating.